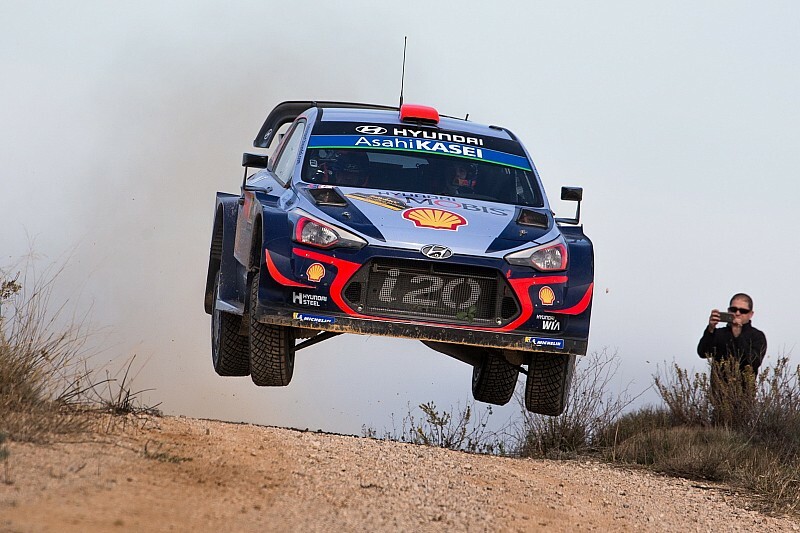 Rally Catalunya turned on its head during the Saturday morning stages, as a puncture for World Rally Championship title hopeful Ott Tanak gifted the lead to Hyundai’s Dani Sordo. Heading into the final stage of the morning, Tanak held a comfortable 32.9-second lead over Sordo courtesy of a Toyota strategy gamble that was fortunate to pay off. 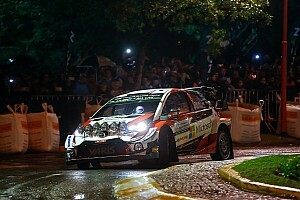 Both Tanak and teammate Jari-Matti Latvala gambled on full wet tyres, due to the conditions on the day’s opening SS8 as the rally returned to asphalt routes. Due to badly placed spectators, however, the stage was cancelled and both appeared to be at a disadvantage until unexpected heavy rain hit SS9 and 10. That allowed Tanak to boost his lead to more than half a minute, as he chases down Thierry Neuville and Sebastien Ogier in the race for the championship. But on the first use of El Montmell, Tanak was forced to change the front-right tyre on his Yaris after picking up a puncture. He lost close to two minutes, and now resides down in ninth place. 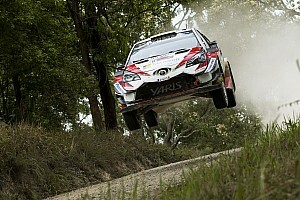 Toyota team principal Tommi Makkinen said: "It is very, very strange. 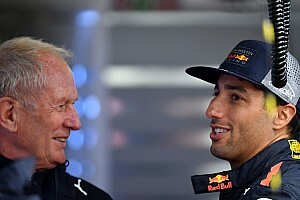 He was fastest in the UK [where he also retired from first place] and here but it’s a stupid puncture here that we cannot understand." Although Latvala still had the pace advantage in the slippery conditions and was fastest through the final stage, Sordo did just enough to move into the lead at his home event by 0.3s over Latvala. M-Sport’s Elfyn Evans, who had started the day in second, blamed a low running order for dropping to third as those ahead of him dragged dirt onto the road. Despite complaints of a nervous car, Sebastien Loeb is now just 2.5s behind Evans as the nine-time WRC champion hunts a podium on his final planned appearance of the season for Citroen. Compatriot Sebastien Ogier is fifth heading into the afternoon, 17.3s clear of points leader Neuville. 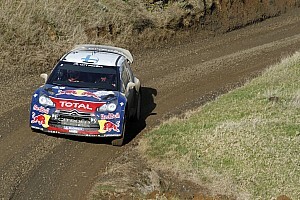 Ogier felt his Ford Fiesta WRC was too "snappy", putting it down to incorrect tyre choice. By comparison, Neuville was surprised to be so far off the pace despite, what he felt were, strong runs. Esapekka Lappi began a fight back after his torrid start to the event, capitalising on a torrid brace of stages for Craig Breen. The Citroen driver had been fastest through SS9 until a spin rid him of his rear bumper and spoiler. The loss of aero cost him 30s on the next stage, a leg he described as: "Absolutely disgusting, it was the most horrible stage I've ever driven in my life. The car just wanted to swap ends everywhere. 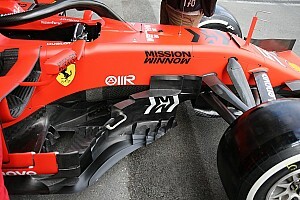 I just want to enjoy it, but with the wing gone it is just undriveable." In WRC2, Kalle Rovapera found a staggering 17.4s over Eric Camilli's Volkswagen Polo GTI R5 to move top of the class.